Sea Change Wester Ross emerged in response to a gap in the marine debate which was threatening fisheries, the survival of coastal communities and the sea itself. We were at a crossroad. Communities and sustainable low impact fishermen were paying the price. Only a few groups in Scotland were speaking up for our public rights, the future generations and ‘The Sea’ itself in a way which was effective, authentic and rooted in knowledge. We saw the gap and filled it. Outside of a few marine scientists, fishermen and anglers there was very little awareness of the story of decline in our Seas. We wanted to tell that story to bring awareness locally, but to offer hope too. We had an ‘alternative’ vision for the sea which we’d like to share – but first the basics. Sea Change Wester Ross is a local marine community group & thinktank based around the shores of Wester Ross Marine Protected Area (known as MPA for short). The group was set up in 2014 to restore the marine environment within the proposed MPA and encourage more local say in the management of inshore waters. Sea Change stands for holistic thinking. We stand for the socio-economic recovery of the area through the restoration of our marine ecosystems and fisheries so vital to the fabric of our community. We stand for an ‘alternative’ economy built upon the benefits of a thriving and restored ecosystem, with more productive and better low impact fishing. The Sea is exploited by a few at the expense of the many: but you can’t have fisheries without fish, Nature tourism without Nature or seafood without safe havens to nurture the juveniles which underwrite the next generation. The Marine Protected Area offers a precious chance of recovery if it is properly protected. Sea Change includes ordinary members of the public united by a shared love of the sea and a desire to restore it for the next generation. Our vision is to celebrate a living, healthy sea and to re-imagine thriving coastal communities around intact ecosystems. Providing a local voice for biodiversity (species of no direct commercial value) as playing an important role in the interconnections between species which support productive seas. All who share our aims are welcome to join the group. RESTORE the marine environment & protect the sea bed for public benefit. RECOVER biodiversity across the marine ecosystem and increase the numbers of mature breeding adults to improve stocks. REGENERATE coastal communities by supporting the socio-economic recovery of the area. SUPPORT sustainable low impact fishing vital to the social fabric of the community. ENCOURAGE Scientists, Fishermen and Community members to share knowledge and work together to create a world class model of sustainable local MPA management. EDUCATE by engaging with the community in an inclusive way and promote greater public awareness through factual education. ADVOCATE for better fisheries management based on the best available evidence to support sustainable fishing. BAN Scallop dredging and other sea-bed damaging practices from inshore waters and protect fish nurseries and spawning grounds. RETAIN an independent voice and promote the public as the key stakeholder in management of the marine environment. BUILD relationships between fishermen, scientists, environment groups and fisheries managers to work for best practice which fits local needs – serving the general public and future generations. JOIN with like minded groups such as COAST of Arran and other’s to promote a united voice for a thriving sea. 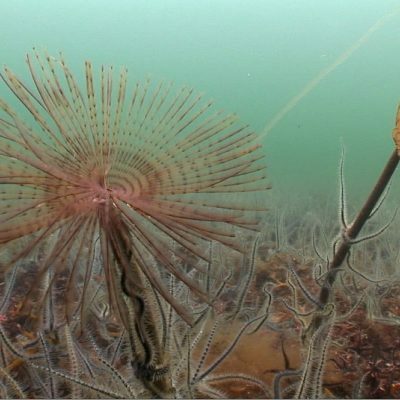 BUILD effective management of the now designated Wester Ross Marine Protected Area (MPA) and a sea bed survey to baseline map the whole MPA area. MONITOR recovery by supporting surveys to measure habitat and species recovery with ‘Citizen Science’. BOOST or sustain the livelihood of those dependent on low impact fishing and marine eco-nature tourism and increase the popularity of the area as a diving and tourist destination with a sea festival. NMSA represents creel fishermen and divers who are based in Ullapool and the small communities fringing the Wester Ross MPA who fish predominantly within that MPA. All who live in Wester Ross and agree with us are welcome to join the group. Please Like our Facebook page too!